Save by bundling your lodgings and airfares. Expedia has heaps of amazing Santa Maria del Rio travel packages that'll save you time and give you more cash to spend! Smart jetsetters can save up to C$590* by securing a package deal on Expedia. With us, you have more than 400 airline partners and 321,000 worldwide properties to select from around the globe, which means your dream vacation is just at your fingertips! About to go on your Santa Maria del Rio vacation? Can't decide what sorts of things to add to your travel schedule? Don't fret — we're here to give you some hints. Escape the hustle and bustle of town for a couple of hours, grab a takeaway coffee and find a sunny, grassy spot at Jardim Hidalgo. If you like to keep active, pack a football too! Still have some time to spare? Pick a comfortable vantage point and observe the world rushing by at Plaza Martin Bautista. If you're in the mood for some socializing, this time-worn public space is also the perfect place to strike up a friendly conversation with locals and fellow travelers. No traveler likes waiting around at the airport. But it's well worth it when you think of the trip that's waiting for you! Situated 30 miles (48 km) northwest of Santa Maria del Rio, Ponciano Arriaga International Airport (SLP) is the closest terminal. 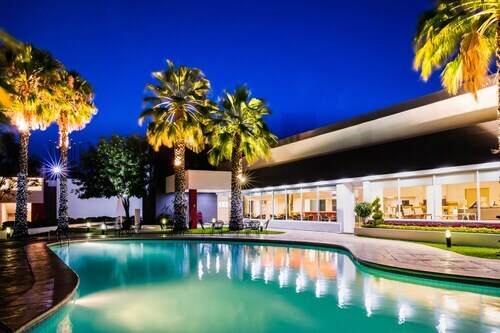 Situated near the airport, this hotel is 11 mi (17.6 km) from Sanctuary of Torrecitas and 11.8 mi (18.9 km) from Jardim Hidalgo. National Park Gogorrón is 17.2 mi (27.6 km) away. 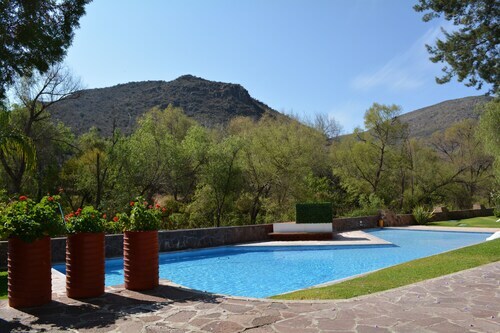 Situated in a rural location, this hotel is 2.4 mi (3.8 km) from Plaza Sendero Shopping Center and within 6 mi (10 km) of Feria Nacional Potosina and Jesus Garcia Corona Railway Museum. Temple of Carmen and Museum of the Viceroyalty are also within 6 mi (10 km). 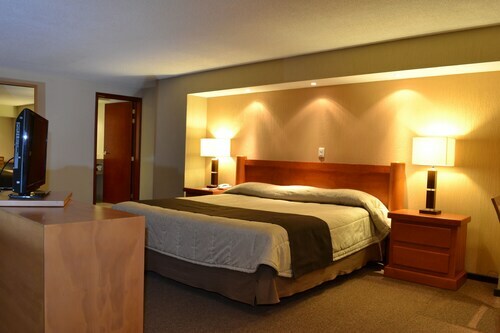 Situated in San Luis Potosi, this hotel is 0.9 mi (1.5 km) from Plaza Sendero Shopping Center and within 6 mi (10 km) of Feria Nacional Potosina and Jesus Garcia Corona Railway Museum. Temple of Carmen and Museum of the Viceroyalty are also within 6 mi (10 km). 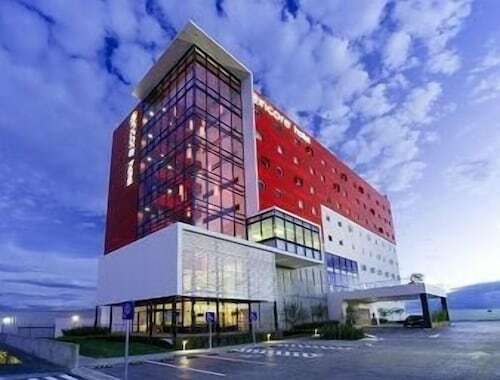 Located in the heart of San Luis Potosi, this eco-friendly hotel is 0.3 mi (0.5 km) from Plaza Sendero Shopping Center and within 6 mi (10 km) of Feria Nacional Potosina and Centenario Center of Arts. Jesus Garcia Corona Railway Museum and Temple of Carmen are also within 6 mi (10 km). 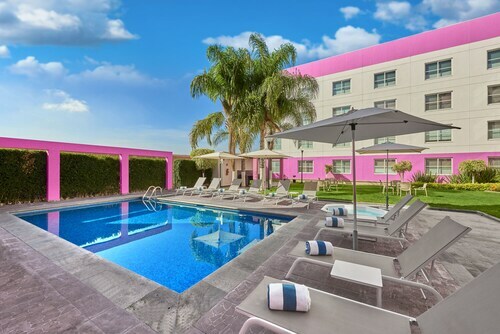 Situated in the business district, this hotel is 0.6 mi (1 km) from Plaza Sendero Shopping Center and within 3 mi (5 km) of Alameda and Jesus Garcia Corona Railway Museum. Feria Nacional Potosina and Centenario Center of Arts are also within 3 mi (5 km). 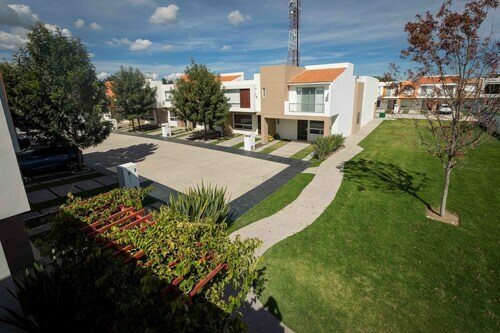 Situated in San Luis Potosi, this villa is 2.3 mi (3.7 km) from Plaza Sendero Shopping Center and within 6 mi (10 km) of Feria Nacional Potosina and Jesus Garcia Corona Railway Museum. Temple of Carmen and Museum of the Viceroyalty are also within 6 mi (10 km). 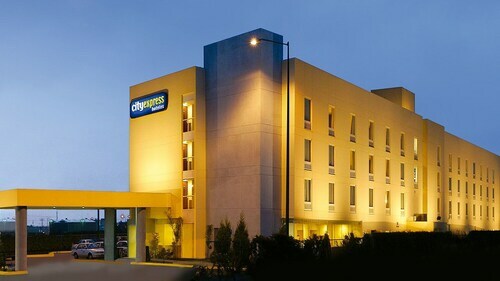 Situated in San Luis Potosi, this eco-friendly hotel is within 6 mi (10 km) of Plaza Sendero Shopping Center, Jesus Garcia Corona Railway Museum, and Temple of Carmen. Museum of the Viceroyalty and Othoniano Museum are also within 6 mi (10 km).